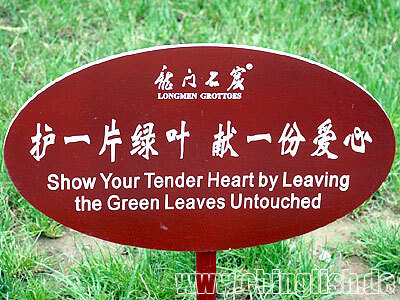 The Chinglish Files by olr: I will. The Longmen Grottoes - world famous site, tourist mecca and a haven for great public calls like this. I like the translation since it carries the original meaning rather well. i was about to send you this picture i took in Longmen this week end, but u are faster than me...so enjoy!! "Walk Out Now" I guess it is better. danke olli, dass Du und Deine Freunde versucht meinem Land zu helfen! Aus welcher Stadt kommst Du und wie lange bist Du schon in China? Baige, die in Koelle lebt. Strangely poetic and moving. I'm giving up eating salad because of this. The countdown is officially open.